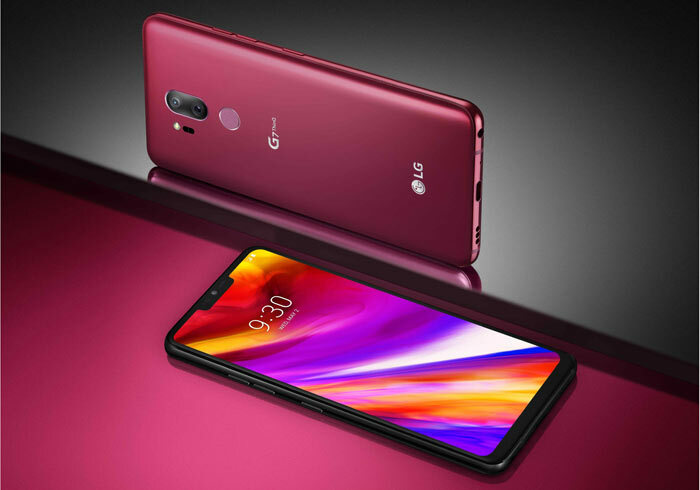 LG has launched its new flagship LG G7 ThinQ premium smartphone at simultaneous events in New York and Seoul. We saw some great pictures of the G7 leaked over a week ago, showing the device from every angle. However, it is good to see the official release with full official specifications and so on. For the third time in a row, LG has gone with a completely new design aesthetic for its latest G-Series flagship. This time you can see the smooth polished metal rim providing a sleeker look, complemented by Gorilla Glass 5 front and back. Despite all that glass it passed MIL-STD 810G durability tests and it is IP68 rated for dust and water resistance. Before we hot the tech specs, LG has headlined its new G7 as offering “deep AI integration for maximum user convenience,” this is where the ThinQ name comes from like a previous V30S-series phone which was upgraded in this way. In practical terms this means that the smartphone can deliver intelligent camera modes (19 in all), as suggested on a case-by-case basis by the AI. Google Lens makes use of this AI power too, for describing and categorising photos, and objects and texts in photos. For convenience there’s a Google Assistant button below the volume keys which launches the AI assistant with a single tap, and Google Lens with a double tap. Alternatively hold the button and talk to the assistant straight away. Last but not least, LG says it is possible to use the LG G7 ThinQ as an alternative to a smart home speaker thanks to its Super Far Field Voice Recognition (SFFVR) with a range of 5m. Display: 6.1-inch QHD+ (3120 x 1440) 1,000nits display sporting a 19.5:9 FullVision screen ratio, and 100 percent DCI-P3 colour gamut. Screen has six viewing modes. The cameras are upgraded compared to the LG G6, this year we have twin 16MP cams on the rear with standard and super wide views for higher res, more detailed photos. On the front is an 8MP selfie cam. Remember the camera is comprehensively enhanced by the AI too. Many people need to take photos in low light and LG claims its new Super Bright Camera captures images that are up to four times brighter than typical shots in dim conditions. The popular ‘Portrait Mode’ is present too, with bokeh blur backgrounds to help enhance your subject. 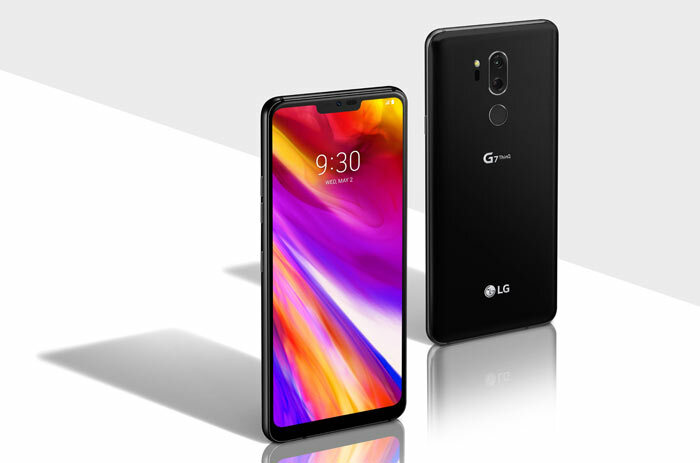 LG has implemented the Boombox Speaker which utilises the internal space of the LG G7 ThinQ as a resonance chamber. It claims the result is twice the bass as a normal smartphone. Elsewhere in the audio stakes it offers DTS:X to deliver virtual 3D sound for all content, up to 7.1 channel audio with earphones. The phone is equipped with a Hi-Fi Quad DAC. 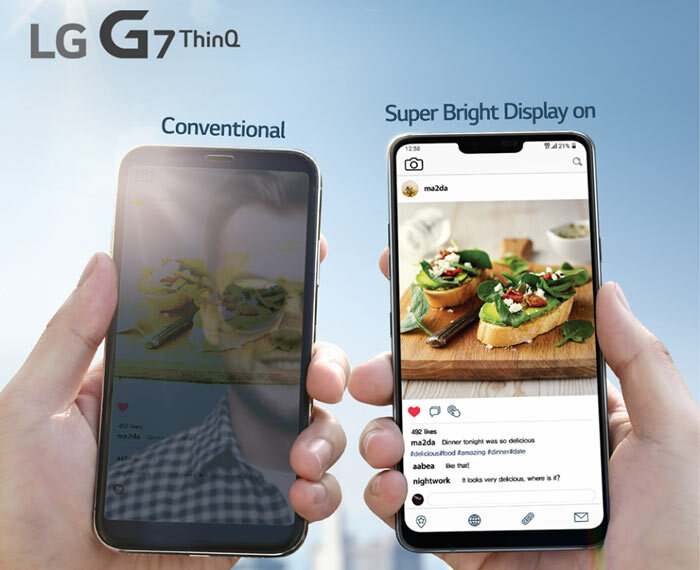 If you are interested in the LG G7 ThinQ, it will be arriving in South Korea in the coming days, followed by major markets in North America, Europe, Latin America and Asia. Localised pricing will be announced closer to time of availability but I've heard it will start at under €700. Yet another one with a hole in the top of the screen. It's almost like these manufacturers just want Samsung & Google to sell more (of their notch free flagship) phones the way they keep pumping these out..you'd have to be mad to buy one of these, especially at around $700! Hmmm. Deep integration of Google snooping tools? Don't leave your home without it.